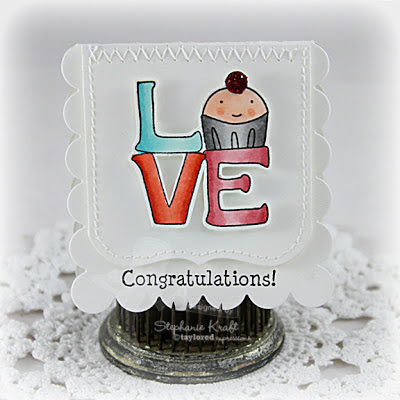 HandKrafted by Stephanie: SCS Love Fest: Taylored Expressions "A Little Love Goes A Long Way"
SCS Love Fest: Taylored Expressions "A Little Love Goes A Long Way"
Hello! 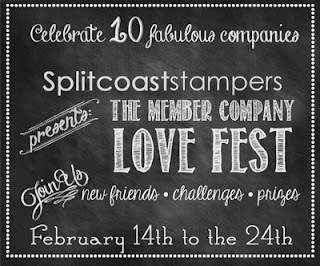 If you have been following along, you'll know that Splitcoast Stampers (SCS) has been hosting a Love Fest with its 10 incredible member companies. All the details are in the TE Love Fest thread on SCS HERE. All Love Fest challenges are in the master SCS thread, HERE. Today is Taylored Expressions' day and our theme is "A Little Love Goes A Long Way"! Our challenge is to create a set of mini note cards - 3" x 3" or smaller. 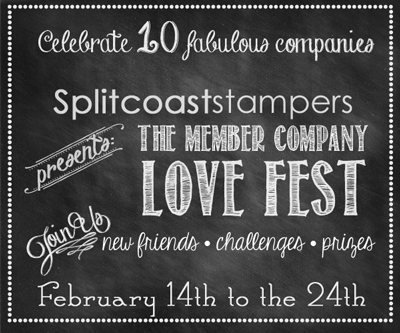 TE will be giving away 2 gift certificates to challenge players and there is a huge prize available for people who play along in all the Love Fest Challenges! The deadline to play in all challenges is Thursday, Feb. 28 @ noon central time. Also, before I sign off, I'd like to let you know that Taylored Expressions is having a customer survey and would like to encourage you to participate. It will only take about 10 minutes to complete and customer input is valued and appreciated! Plus, when you complete the survey, you will receive an exclusive discount code to use in the TE store! Please click HERE to be taken directly to the start of the survey. Accessories: Taylored Dies: Scalloped Notecard, Tuck & Close Notecard (Taylored Expressions); Markers (Copic), Red Goosebumps (Queen & Co), Foam tape, Thread, Sewing machine. 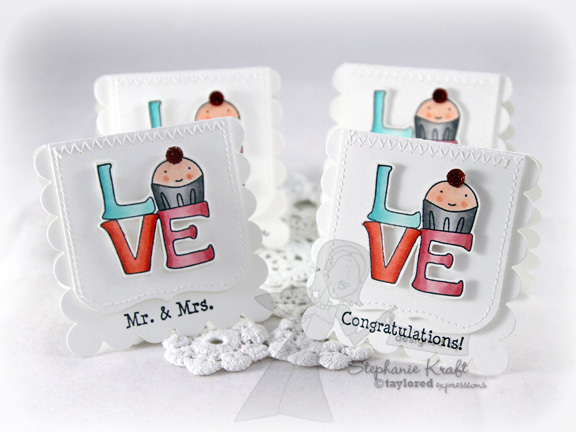 Very cute, Stephanie :) Loving all that white space too. Those little notecards are the cutest! So adorable Stephanie! Love the little cuppie! Adorable, Stephanie!! I love the white on white with the white stitching! Such a cute little set of notecards!